Safier Entertainment is a Film & TV Production, Finance and Worldwide Sales Company. 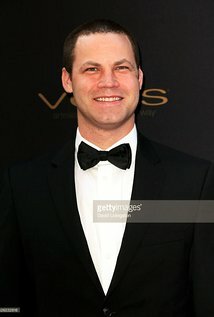 Jared Safier is a 4 Time Emmy Award Winning Producer who has produced a variety of films and series with numerous Oscar, Emmy and Golden Globe winning actors and actresses. Jared is a member of the Producers Guild of America and the Academy of Television Arts & Sciences. Jared was born in Carmel, California and lived there until the age of 3, when he moved to Olney, Maryland. Having received his Bachelor of Science in Finance and Business Information Technology from Virginia Tech, Jared began his career as an entertainment manager after booking a tour for an R&B artist in Europe (Sweden, Denmark, Germany, France, and England). Shortly after, he decided to start Safier Management Group. As time went on Jared expanded from his one R&B singer to include a roster of other talented musical acts including rap and hip-hop artists and DJs. Relationships in the music industry brought a few music producers to the team as well. As the company expanded he also began representing models for commercial, print, runway, and high fashion. Then he began to expand into Television and Film bringing on actors, actresses, writers, producers, and a Student Academy Award winning Director to his roster. Jared started with Comcast during the acquisition of NBC Network, NBC Studios, and Universal Pictures, gaining unparalleled exposure to the entertainment industry as it relates to TV Production, TV Ultimates, Broadcast TV Entertainment, TV Participations & Residuals, Film Production, Film Ultimates, Film Participations & Residuals, Home Entertainment Inventory, Home Entertainment Revenue, Ad Sales, and Affiliate Sales. While working for NBCUniversal, Jared also had direct interaction with and developed key relationships with the Executives of NBC Network, NBC Studios, and Universal Pictures. Jared has worked as a consultant on numerous multi-million dollar films and television shows. He has run 2 mini major film studios where he analyzed projects from a financial perspective. Including packaging films and TV shows with actors, directors, and producers as well as putting together the financial structure and foreign sales for films. Through his production company Safier Entertainment, Jared has numerous Film projects and TV shows in various stages of production and development. Safier Entertainment is working with multiple major and mini major studios and has the ability to fund and distribute A-List Films and TV shows. Safier Entertainment has deals with all major digital distribution outlets including Netflix, Amazon Prime, Amazon Video On Demand, Redbox, Apple TV, Apple iTunes, Google Play, Microsoft Movies & TV, Xbox 360, YouTube Movies, VUDU, hoopla, DISH Network, DirecTV, Time Warner Cable, Comcast, Verizon Fios, Cox Communications, Shaw Communications, Charter Spectrum, Mediacom, Rogers, Eastlink, and many more as well as deals with Walmart, Best Buy, Barnes & Noble, Target, and other stores. In addition, Safier Entertainment is working with many domestic theatrical distribution companies and numerous foreign sales companies that sell films in all foreign sales territories worldwide. Jared’s TV projects include being the Supervising Producer for the 15 Time Emmy Award Winning and 32 Time Emmy Nominated drama series The Bay on Amazon Prime, with many extraordinary actors such as Emmy Winners Charles Shaughnessy (The Nanny), A Martinez (Santa Barbara), Judi Evans (Guiding Light), Eric Martsolf (Days of Our Lives), 7 Time Emmy Winner Kristos Andrews and Oscar and Emmy Nominee and 2 Time Golden Globe Winner Bruce Davison (X-Men, X-Men 2), as well as Daytime Legends: 4 Time Emmy Winner Ronn Moss (The Bold and the Beautiful), Lane Davies (Santa Barbara), 7 Time Emmy Winner Mary Beth Evans (Days of Our Lives), Emmy Winner Nicolas Coster (Santa Barbara), Jacklyn Zeman (General Hospital), Ilene Kristen (One Life to Live), Primetime Emmy Winner Patrika Darbo (Days of Our Lives) and 3 Time Emmy Winner Matthew Ashford (Days of Our Lives); Executive Producer for Timid Pimps, and Co-Executive Producer for The Jimmy Lloyd Songwriter Showcase on NBC & Amazon. Jared’s Film projects include being the Producer for After School Special distributed by Gravitas Ventures starring Oscar Nominee and 3 Time Golden Globe Award Nominee Eric Roberts (The Dark Knight, The Expendables), Nick Swardson (Grandma’s Boy, Just Go with It) and Jason London (Dazed and Confused, The Rage: Carrie 2); Executive Producer for Blue Line distributed by Lionsgate starring Golden Globe Award Nominee Tom Sizemore (Saving Private Ryan, Black Hawk Down, Heat), Kevin Nash (Magic Mike XXL, John Wick, Magic Mike) and Jordan Ladd (Hostel: Part II, Grindhouse, Cabin Fever); Executive Producer of Arlo: The Burping Pig distributed by Lionsgate with Joey Lawrence (Blossom, Melissa & Joey), Drake Bell (Drake & Josh, Ultimate Spider-Man), and Jennifer Taylor (The Waterboy, Two and a Half Men); Executive Producer of Christmas All Over Again distributed by Lionsgate directed by and starring Christy Carlson Romano (Even Stevens, Kim Possible), Joey Lawrence, Sean Ryan Fox (Henry Danger), Amber Montana (Haunted Hathaways), and Social Media Star Todrick Hall; Producer for theatrically released Altitude distributed by Lionsgate starring Denise Richards (The World is Not Enough, Wild Things, Starship Troopers), Dolph Lundgren (Rocky IV, Universal Soldier, The Expendables), UFC Champion Chuck Liddell, Greer Grammer (Awkward., Emma’s Chance) and Jonathan Lipnicki (Jerry Maguire, Stuart Little, Like Mike); Executive Producer for the theatrically released Zombies distributed by Broad Green Pictures starring Tony Todd (Candyman, The Man From Earth), Steven Luke (War Pigs, Wunderland), Raina Ellison (America’s Next Top Model), and Aaron Corteau (After the Dawn); Executive Producer for Senior Entourage starring 5 Time Golden Globe & 7 Time Emmy Winner Ed Asner (Up, Mary Tyler Moore), Grammy Winner & Golden Globe Nominee Helen Reddy, Golden Globe & 5 Time Emmy Nominee Marion Ross (Happy Days), Oscar Nominated Director Mark Rydell (On Golden Pond, James Dean), 2 Time Golden Globe Winner & 7 Time Golden Globe Nominee Jamie Lee Curtis (Halloween, True Lies, A Fish Called Wanda) and Charles Robinson (Night Court), edited by Oscar Winning Editor Scott Conrad (Rocky), and Producer for The Brawler starring Zach McGowan (Terminator Salvation, Black Sails, Shameless, Agents of S.H.I.E.L.D. ), Amy Smart (Road Trip, Just Friends, Starsky & Hutch), Taryn Manning (Orange is the New Black, Hustle & Flow), Emmy Winner Joe Pantoliano (The Matrix, Memento, Bad Boys), and Oscar Nominee Burt Young (Rocky, Chinatown). Some upcoming Films include being the Producer for the action film The Mob Priest starring Mickey Rourke, Luke Goss, James Russo, Robert Davi, and Stelio Savante, Executive Producer for the sci-fi action film Black Skies; and Executive Producer for Dancing Lessons with MarVista Entertainment.